It would be hard to imagine a network buying and showing a reality series that disparaged Islam or Hinduism. It would be hard to imagine a network buying and showing a reality series that disparaged Islam or Hinduism. Yet, your network sees nothing wrong with supporting bigotry with Leah Remini’s show. Even the IRS, after a great deal of investigation, decided that the Church of Scientology is a religion—not any of the false concepts circulated by Remini. Does A & E have better investigative abilities than the IRS? 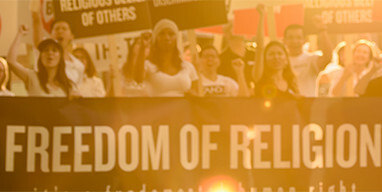 If not, then, there is no reason that the Church of Scientology must not be afforded the same rights against prejudice and discrimination as every other religion. In many ways, the Remini show simply re-plows land that the IRS already found filled with falsehoods. As a Scientologist for over 30 years, I’ve known many Scientologists, both in management and just members. They are decent, hard working people dedicated to making the world, in actuality, a better place. I have never seen any other agenda, and believe me, after 30 years, it would have shown up. You know you wouldn’t do such a show regarding any other religion, so I ask you to discontinue support of a show which damages the fine reputation you have for great content.